Born in February of 1818—Douglass never knew the day—he committed his life to the same. From the time he escaped from slavery, risking his life to run north and quickly ingraining himself into the abolitionist community, he worked tirelessly towards equality. On February 23, 1868, William Edward Burghardt DuBois was born in Great Barrington, Massachusetts. His mother was a domestic worker, his father a barber who left when Du Bois was young. The congregation of his childhood church raised the money to help send Du Bois to Fisk University, a historically black institution in Tennessee. There, he saw Jim Crow laws first-hand. Even in New England, he’d been well-steeped in experiencing racism, but this was another grade. It changed him profoundly. In some ways, Du Bois picked up the work that Douglass had to leave undone. Du Bois borrowed Douglass’ phrase—“the Color Line”—as a guiding idea in his collection of essays, The Souls of Black Folk. Both men made good on their pledges to strive for equality; along the way, both clashed with other leaders of the abolitionist and Civil Rights movement. Both believed in women’s rights, although they often disagreed with the Women’s Rights movement. And both men fought for equality till their last. Douglass’ final lecture in 1894, “Lessons of the Hour,” was a lash of fury against lynching in the South. Du Bois, in an act of protest, renounced his U.S. citizenship in 1961, moving to Ghana, where he died two years later. February 2018 marks 200 years since Douglass’ birth, and the 150 years since W.E.B. Du Bois’. Fifty years away from the tumult of 1968, the year of Martin Luther King Jr.’s assassination and the passage of the Civil Rights Act, the road towards equality in 2018 is still unpaved. Reflecting on the lives of activists Frederick Douglass and W.E.B. Du Bois, we can discover the wisdom, bravery, and trueness within ourselves so that we may finish the work they asked of us. The Free Library of Philadelphia is marking the sesquicentennial and centennial of Frederick Douglass’ and W.E.B. Du Bois’ work with programming throughout 2018. Join us on February 26 at Parkway Central for Douglass and Du Bois in the New Millennium, a discussion of these men’s literary works, and stay tuned for a special exhibition this fall. 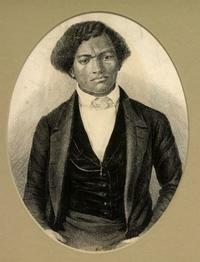 Frederick Douglass escaped from slavery as a young man. W.E.B. 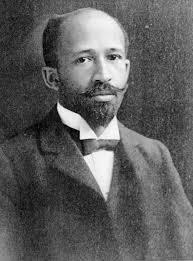 Du Bois began his career as a professor at Wilberforce University. One of his most important works was a sociological study of Philadelphia's black communities. Time moves so fast that I haven't had the actual chance of celebrating black history month in the best of manners, But I am happy that throughout time African American has an month of harmony, to actually realize our culture; heritage. Giving us the motivation that is much needed throughout times of depression where we feel that it could be due to our own insecurities of the skin that we are in. Symbolism of intelligence and strength. Learning of our descendents, how they helped the future generations of their time. Which is us! Black History Month should be pronounced throughout the year more often. "Unsung Heroes"